Recently, the renowned UK magazine Managing Intellectual Property released its“2018 top firms for patent work: IP Stars rankings”. Liu Shen & Associates is listed in the first tier for patent prosecution and patent contentious in China (there are four firms in the first tier). The firm has been listed, in 13 consecutive years, as the first tier firm for patent prosecution, and also in the first tier for patent contentious works for many times. The rankings are based on months’ research by MIP’s team in London, New York and Hong Kong. Market feedback interviews, reviews on detailed work information from firms as well as the survey responses and publicly available information were taken into consideration. 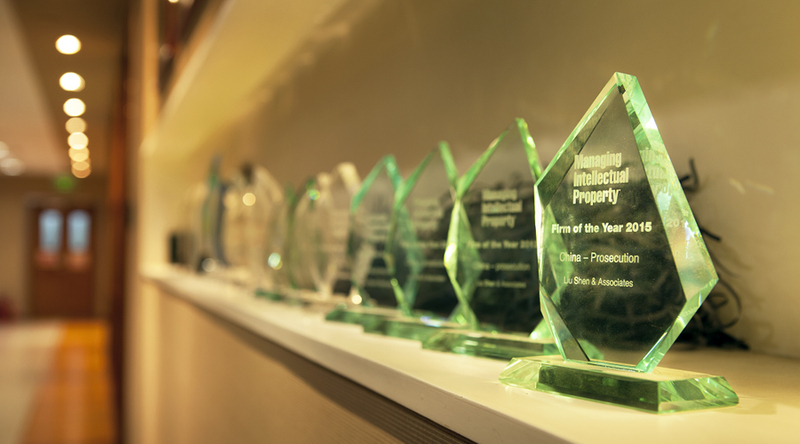 This great honor highlights the firm’s strong practice and expertise in intellectual property field. Liu, Shen & Associates and all staff of the firm will continue to focus on providing clients with high quality professional services in a spirit of “Client First, Quality First and the Faith First” in the years to come.